South Semoran Blvd. 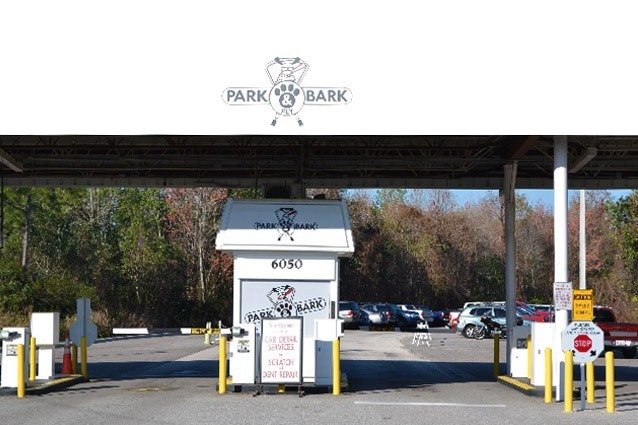 & Hoffner Ave.
MCO Park Bark n Fly is a huge friendly lot with free shuttle to MCO international Airport. 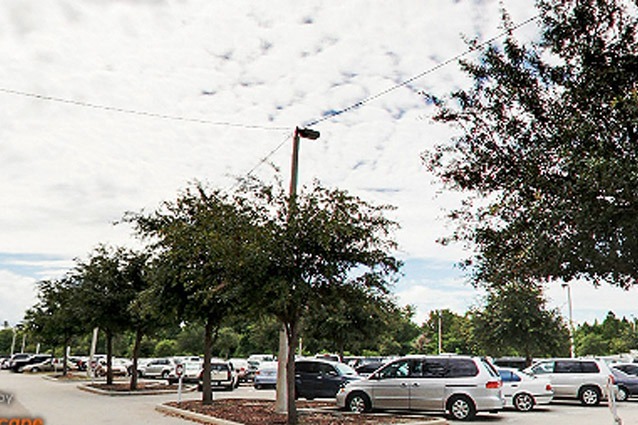 We are the most affordable off-site parking lot for the Orlando International Airport area. 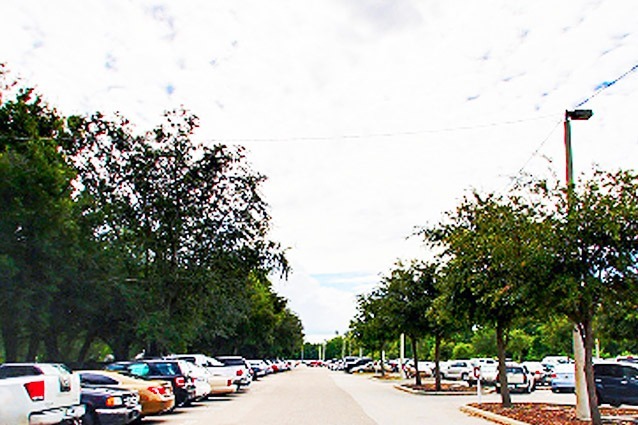 MCO Park Bark n Fly MCO Airport Parking Lot is only located a short distance from the Orlando International Airport. 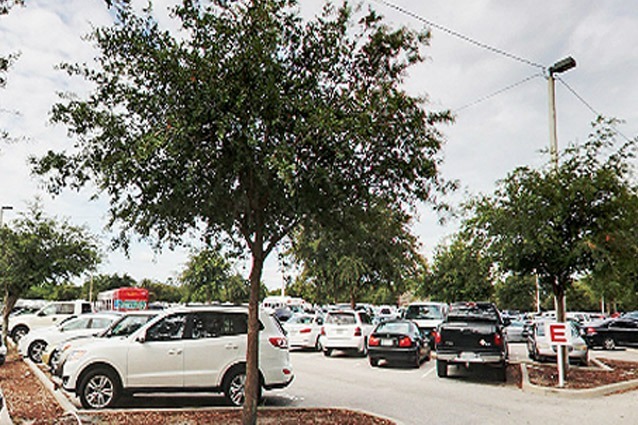 We have a large open parking lot available to fit over 2500 cars and offer both short term and long term parking at low parking fees. Our shuttle service is also available 24 hours a day, all for your convenience. We'll drop you off right at your terminal! Can it get any better? We understand that travelling isn't always easy. That's why we ensure that MCO Airport Parking lots are secure for your peace of mind. Parking is the last thing you want to worry about when you're on vacation, so let us help you. Our parking lot is not simply gated, but has both camera surveillance and security guards patrolling our lots day and night. Park and fly with ease, when you park with us at discount rates. Area South Semoran Blvd. & Hoffner Ave. When arriving to the lot, please pull a ticket you will need to present this ticket along with your InstaPark Paid Reservation Receipt to the parking attendant on your way out. When taking the shuttle, the shuttle driver will provide you a locator card. This card will indicate where to wait upon your return from your trip as well as the dispatch number. When you arrive back to Orlando International Airport, retrieve your luggage, call the shuttle dispatch 407-855-5899 let them know you are ready to picked up, wait for the shuttle bus in the Level 1 - ground transportation area. The parking was fine. The problem I have is that I reserved a space online for more time that was needed due to unforeseen circumstances. When checking out I was only charged for the time I was there but I couldn’t get a refund got in-used time. I had to go thru Insta Park and did that with no response. I’m still looking for a refund of $64+- which has yet to be acknowledged. How long do I have to wait for my refund? Service at the lot is always great. Issue was Instapark. Paid in advance (for three days) and then they made me pay more when I left (less than three days later). Called and left a voice mail for the manager several days ago, but haven’t heard back. Finally, an airport parking lot that cares! ... I am not scared of leaving my car here because I know that it will be taken care of by the nice people who are constantly walking around and patrolling. This was a great way to begin and end our vacation. There are four of us, which means that the shuttle bus was free (woohoo!)... If we had one more, I believe we would have had to pay an extra charge. We didn't get our car washed or detailed, but next time I think we will. Seeing all of these very positive comments are making me want to go over right now and try it out! I was very intrigued when I noticed how many good reviews this parking lot was getting, so i decided to try it out. Not only is it inexpensive, but it also has a great staff team and tons of security. I would recommend this parking lot for long term or short term parking. It is very nice that your parking lot has a free cancellation rule. I had to cancel my flight due to personal reasons, and I was able to cancel my parking spot on the day of, and it was easy as that with no fees attached. Thank you for not adding to my already very stressful day. I will definitely be parking with you next time I travel. I love this parking lot! there are so many services and add-ons that make your long term parking experience that much better! I came here with my uncle and aunt. We parked in the covered section of the parking lot and went to the shuttle bus.. By the time we were picked up we were at the lot for about 10 minutes - not bad at all! Orlando (which is home) is one of my favorite places to fly from just because I know that I'm going to be parking at Park, Bark and FLy!!! Great parking lot.... I really love the staff and security. Whenever I have to book a flight, i make sure to book with you guys right after to make sure i get a spot... Im sure that you always have plenty of spots to spare, but I dont know... Wouldnt want to take the risk!! FINALLY an airport parking lot that works... I always seem to run into issues with other ones... here, if therre are issues they are always resolved quite eaily. Thank you park, bark and fly for making all of my current airport parking experiences good ones. I'm actually obsessed with this parking lot. Everyone is so nice and helpful... Thank you so much to everyone who works here!! I always feel so safe leaving my car parked / my belongings inside the trunk. No way anyones breaking in with the wonderful security guards. I wouldnt say that this parking lot is as good as everyone is syaing, but it does the trick and it is also cheaper than any of the other mco airport parking lots. Whenever i've come to this parking lot, there has always been a lot going on... you are able to get your car washed, waxed, detailed and more... there are normally cars everywhere, but somehow it always just seems to work. Everyone has been extremely patient and there has never been a fight that i've seen... different than other lots i've parked with in the past haha.I guess it just comes down to a lot of nice people. I've used park, bark and fly for multiple occations, but I have never been as impressed with any other airport parking lot. I love all of the staff here. They are all very kind and genuine. They actually seem happy to be at work. Very rare for these days!!! It seemed like everything was going wrong that morning... sleeping through my alarm, having my car not start, my coffee maker broke, and so on... I get to the parking lot and I don't know how they did it, but i left the parking lot on the shuttle bus, smiling... smilng on what I thoought would probably be the worst day of my life!! I am so happy that I chose to park with you guys. I will for sure be returning to this wonderful airport parking lot! I will also be recommending it to all of my friends and family.. they need to hear about this! My flight was delayed four hours when on my way home... and I was so worried that the park and fly woud put an extra charge on my card for it... so when I finally got back, i explained that my flight was running late and they were totally understanding and said that it happened quite often.. I wasnt charged for anything and could walk away a free woman! (haha). That situation shows how great customer service really works... thank you so much to everyone at park, bark and fly for helping me feel less terrible about being late!! ;-) ..
Hello. I got my car hand washed and waxed the other day, and it came out looking absolutely wonderful!!! I honestly hate all airport parking lots... They always seem to be crammed and just unpleasent... park bark and fly is alright though... a lot better than other lots that ive been to in the past. I'm very happy with the service and everything that the staff have done for me. Everytime I come in they are very helpful and respectable. I got my car washed and waxed the last time I was there, and I was so happy with the results that I'm planning on coming back in the next few days. There is also covered and uncovered parking to choose from... With my experience, if you are only parking for a few days, uncovered is usually alright. If you are leaving for two weeks or more, you are better off going with covered parking or your car will be a mess .. (unless you sign up for a car wash of course, haha). I will definietly be recommending you to all of my friends. I booked here the day before my flight and it wasn't a problem at all. It's a nice big lot that can accomidate lots of vehicles. I am always going on last minute trips, so this is a great parking lot for me. My mother in law recommended this parking lot when I had to travel for work... It was wonderful, and didn't cost the company much (which they were happy about)... I dont think I would ever choose another lot... I didnt get a car wash this time, but i think i may have to get the whole shabam next time... especially with all of the great comments and reviews on the car wash and detailing service! When I was younger a parking lot was only a parking lot... Nothing more, nothing less... and now there are all of these amenities and add-ons to make your expeirence so much more rich and fulfilling!! I saw peoples cars being washed... I saw peoples cars being waxed, I even saw peoples cars being detailed... WHat a world we live in!! I prefer parking in a covered parking lot, but my hudband tells me that we wont see a difference, so we always park in the uncovered parking lot. he's right... You will get the same out of parking in the uncovered parking lot... I guess if the weather is bad its a good idea to park in the covered parking lot... Check the weather before booking if you are booking that close in advance. I used to wonder what ever happened to good service... and then I came across Park, Bark & Fly! Instapark has a lot of great parking lots around the country, but I have to say that this is my favorite that i've ever been to. Great job!! I'm never worried about leaving my car here. Everyone is very good at their jobs and the security are always on their feet making sure everything is good in the lot. Thank you to whoever washed my car! you did a great job. Whenever I need to airport park, I make sure to go to Park, Bark & Fly! The energy in the parking lot definitely sets up the way your travels are going to go that day... Book here if you are looking for the best possible start to your trip. 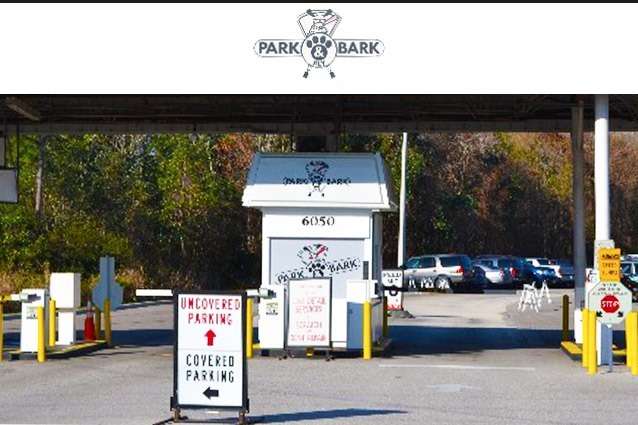 Orlando is a busy airport, which means that there are a lot of people who have to park... luckily, park bark and fly has a ton of parking spaces... It's not as big as the MCO airport parking lot, but it's definitely something! It is nice to see that the kids who work there like their job and the environment they're in. Good for them! When it comes to long term airport parking lots, they all are the same. You get in and out, in and out... They are all the same except for the fact that this one just feels good. The staff are happy to be there, which makes you happy to be there. My son and I always use your airport parking lot. We love it. Thank you for years of good service. I had to cancel my reservation with your parking lot the other day, and it was so easy and completely free. It was really a stress-less task. 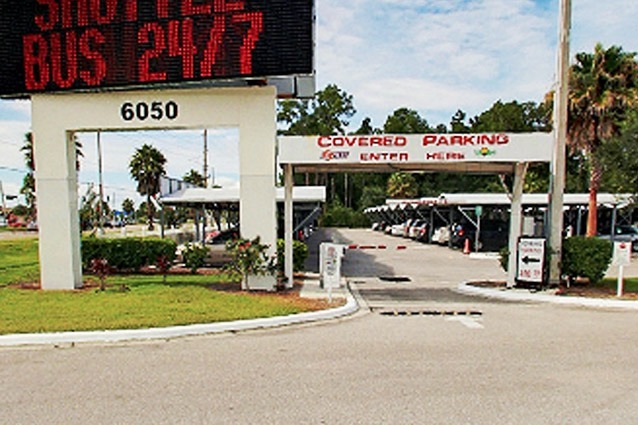 Great long term MCO airport parking location!!! 11/10 in my books. I am so happy with the service at your parking lot. Everything always goes very smoothly. No complaints here! Whenever I go on a trip, I always park with Park, Bark and Fly! Such a great lot (though i'm not sure what exactly the name means). I asked one of the staff members and she wasnt too sure either lol. I guess it doesnt really matter! So glad I found you guys. Hey. If you are looking for a great airport parking lot at the moment... I honestly wouldn't look any further. I've been to many different MCO parking lots in the area throughout the years and this one definitely takes the cake. I haven't been anywhere else since I found it. You won't regret parking here. Where else woud I park? Seriously, this place looks liek heaven compared to other long term parking lots... Im so glad you guys exist!! I can't believe how inexpensive this place is. It's only 5.99 daily, and if you're looking for covered parking it's only 8.99 per day. Other airport parking lots charge more than that for an uncovered parking space. This MCO long term airport parking lot is where you want to book, and there is lots of room so you don't have to really worry about being turned down. I am always a little bit worried about my cars being broken into ... (from years and years of bad experience)... but when i'm at park, bark and fly, I have no worries at all. You can tell that everyone takes their jobs seriously and are also serious about keeping everyones cars and vehicles safe. This parking lot has a very friendly staff, and also has a free shuttle bus service. I've been to some parking lots that cost more and don't even give you a ride to the airport... you park and you're on your own. This is a great deal considering it's only like 5.99 to park! I will be returning. Thank you for a great experience. This parking lot is so big that there should be a shuttle bus to take you to the shuttle bus. One of my girlfriends recommended this airport parking lot to me and my husband. We recently went on a month long trip. We booked with Park, Bark and Fly and we were very impressed with the service. We scheduled for our car to be cleaned the day before we arrived home. If you are parking here, get a car wash. Trust me, it's totally worth it. Thank you to the staff and services at Park, Bark and Fly for making my first experience with you a great one. This parking lot provided everything I needed to feel my vehicle would be safe and sound throughout my time away. This company demonstrates what exceptional customer service looks like. I am thankful to have found you. You can really tell that the staff cares about the company. They must be treated well! They are the kinds of people who go abovce and beyond just to make a customer happy. There is a really good vibe here, and i'm happy to give my money to them. Anytime i've come here, it's been to get my car all done up.. I'm going to have to park here at some point. I know that the car wash and detailing service are great, bbut now I have to see what the parking service is like. Park, Bark and Fly is a seriously large long term parking lot... probably one of the biggest i've ever parked with... I'm glad I found it though. The customer service is always on point and there are a lot of great services that you can add on. Orlando never really had a good airport parking lot... They are very "mediocre" and (for lack of a better word) "whatever"... I am really glad that I found Park, Bark & FLy to put life back into the airport parking scene!!! Thank you for brightening up my travel days! Everyone at Park, Bark and Fly were lovely. Great experience. I will be returning. I Can't believe I've driven by this lot so many times and havent tried it out. I travel often and usually use airport parking lots... Ive been using the MCO every since I started, but now that I've switched over, i'm never going back... It's so easy going to and from the airport... it only takes a couple minutes. I swear it takes the smae amount of time to ride the shuttle than it would be to walk across the actual MCO parking lot.... like, your parking lot is big, but that one is bigger!!! I've never actually parked here, but I have gotten my car washed, waxed and detailed... They do a spectacular job. It's totally worth getting done every couple of months. Hi, I'm Sharon. It was a complete pleasure parking with you last time around. You knew exactly how to deal with my problem, and followed through with your actions 100%. Thank you so much for helping me out and having the best customer service in the city! This park n fly is going to take over the parking lot world!! haha, it has everything you would ever need in a parking faclility. WOuld recommend you to anyone. I LOVE PARK, BARK AND FLY! such a great long term parking lot. It's always a pretty happenin' place. I came across this parking lot online. I do enjoy parking at the airport, but I thought that I would try something new for a change... It was less than half the cost of parking at the airport, and the service was better... I dont think i'll ever go back. You really do have a great circle of staff members here. Make sure not to let any of them go! Best customer service that i've seen in years... ALso, this lot is 24 hours... which makes it easy to book a flight and not worry about whether or not you'll get a parking spot or not. I can't see myself parking anywhere else. I am always in good spirits around the staff here, and the shuttle bus doesnt take long to get from point A to B. I am very happy with everything! When I fly from MCO next, i'll make sure to choose your parking lot again. such great service! I was very impressed. I also got my car washed, and it looked great :):)! When I fly from MCO next, i'll make sure to choose your parking lot. SO many good words to say about this parking lot... not like the others. I always feel so rushed and hasseled at other parking lots. This one makes you feel that you are a valuble customer. Thank you for making my experience with you a great one. I will be returning. Paid twice, no manager available to fix the problem. Waiting for 40 minutes for the bus to be picked up. Before coming over to Park, Bark and Fly, I got into a fight with another parking lot down the street. They were very rude and the customer service was just awful... I decided to drive down the street in hopes that I'd find a parking spot (and soon!)... I found you guys and you made everything so easy! didnt even miss my flight dispite all of what happened. Thank you for everything! Whenever I go on a trip I always choose your parking lot. You do a great job keeping things organized. Thankful for ya. You guys are the best!!! I will be returning on my next trip! Whenever I park with you guys, I make sure to get my car washed and waxed... I don't think i've ever seen it so damn clean! Thank you for keeping my car as clean as can be! Everyone was very helpful and polite. I would use this service again! Park, Bark and Fly is definiely one of my favorite airport parking lots nearby MCO Airport. It's honestly so easy to love with all of the staff being so wonderful and such... If you have the chance, I would definitely recommend choosing this airport parking lot. I lost my car keys on the shuttle bus and I tried flagging the driver down, but he took off... He may have not seen me, but I'm pretty sure he did. I had to wait until he came all the way back with a new load of people to find them. Everything went as smoothy as it could go... thank you for the wonderful parking service.. I honestly thought I was seeing things when I first saw that parking only cost $5.99 per day... I seriously didn't believe that any good could come from a parking lot that was so cheap... after reading the reviews, I decided to give it a shot... For $6 a day, this a great place to park if you are off on a trip... I will definitely be coming back. I have parked here on many occations, and there hasnt been a time i've been dissapointed... Only good things to say about you guys... great services for a low price... my kinda parking lot!! Great job on my car... She looks better than ever! My Fiance has sworn by you guys for years... she travels all of the time for work so i never got the pleasure of experiencing you guys and all your glory... We took a trip for pleasure a few weeks ago, and I was blown away by how great your customer service team was. Everyone was just wonderful... I will be recommending you to everyone I know. Whenever I take a flight from MCO international, I make sure to park with park bark and fly... You guys are seriously the best, I love ya and my family loves ya too. It's always so easy and there are never any issues... We will be back! I parked here for the first time last wednesday, and everything went as smooth as it could have. I got to the airport in good time all thanks to the shuttle bus that was waiting for me as soon as I got there (or just good luck)... thank you for the only great park n' fly experience i've ever experienced... I will be returning. I've been to mostly every MCO long term park and fly, and this is by far my favorite. There are so many great services to choose from. You are also able to get covered, uncovered parking. You can also get your car washed and detailed for great prices. I got my car washed and detailed and it looked amazing when i got back. I wont park n fly anywhere else again. My wife's friend told us about you guys so we decided to try you out and get the full treatment... We got covered parking with a car wash and detailing... It was about half the price that we usually pay, and it was very well done. You can really tell when people care about good customer serivce. Thank you for everything. My girlfriend and I were very thankful to have parked with your company. We have parked with other instapark lots, but not the Orlando airport location... such a great one! I would never go elsewhere. I went on a trip with my entire family, and we all carpooled and parked with you guys... we brought three cars full of people and to our surprise our parking spots were reserved beside each other... now thats what I call great customer service. I recommend you guys to all of my friends and family. I am so impressed with your service... I will continue coming here! I got my car washed and detailed here yesterday. I didn't actually park, but they really did a great job. It didn't take very long either... With all of those cars that they have already in the lot who probably have inquired about having their car taken care of, they definitely made me a priority without really having to. Thank you everyone working at park bark & fly! If you are looking for a new park and fly in Miami, make sure to choose Park Bark & Fly. It's a great parking lot with all of the amenities and services that you need. I'd recommend this lot to anyone. I love travelling... but I had the worst time finding a park and fly to match my needs... I'm a student and i dont have a ton of money to be blowing on airport parking (which usually costs a fortune)... I'm so thankful that you guys exist... it makes my life a lot easier. I recieved shuttle serive the other day and it really seemed to help the time go faster. This way, i didnt have to worry about searching about the parking lot to actually find a parking spot. I would definitelyy recommend using the park bark & fly valet service! It didnt even cost a lot more than regular parking. totally worth it. This parking lot was reffered to me by a good friend. I am very happy that they told me about this place. I have never gotten in and out of an airport parking lot so quickly. Usually you have to wait in big line ups, but this time you only had to park and head over to the shuttle bus (which I may add only took a couple minutse to get to the airport)... great service. I was exhausted earlier when I was at park bark & fly, and I had a hard time finding a parking space, but one of the staff members actually helped direct me to an open space... I swear it would have taken me an extra ten minutes if it hadnt been for him. Thank you so much for the help buddy! I came to Park Bark & Fly the other day to get my car washed and detailed..you guys did a fabulous job! I will never go anywhere else. I've never parked here but the next time I need an airport parking lot I will totally park with you. Park Bark & Fly is by far my favorite long term park and fly in the area. There is definitely a lot of order here, that a lot of other parking lots seem to lack. Covered parking definitely comes in handly if rain is in the forecast. Check the weather before booking.. If the weather is supposed to be nice, uncovered parking would probably be fine for you, but if it's going to be windy and rainy, it is a great idea to choose covered parking. They have a very nice area that is also patrolled by security. It's difficult finding a good long term parking lot near Orlando airport. I'm so glad that I found park bark & fly! I parked for only $5.99 a day... so inexpensive compared to other long term parking lots. This was my first time using the facility and I nothing bad to say about my experience. The driver was extremely courteous and we just happened to have had her on our departure and return trip. I will definitely consider using in the future. After an attempted theft of my car earlier this year (long story!) I've been on edge about where to keep it during my trip. I didn't feel comfortable leaving it at home so I went searching for a solution and found this. So glad I did! Perfect price, location was easy to find and my car was right there when I got back. Having moved to Orlando recently, this was the first time I had to park my car to fly out of MCO. I left before daybreak, so when I pulled in to park my car, it was still very dark. I think I was supposed to stay by my car for the shuttle pick-up, so the driver could write the location of my car on my ticket. Instead, I walked to the shuttle which was over a lane or two. I realized later that I didn't know where my car was, and was freaking out while I was all the way across the country. I called ParkBarknFly, and they assured me that they would be able to locate my car when I returned. I got on the shuttle after I landed back in Orlando, and sure enough, the shuttle driver was able to find my car, with the help of my 'beeper' on my car key. It was near midnight, so I was very happy to find my car so easily and head home. I would recommend this parking service to anyone. 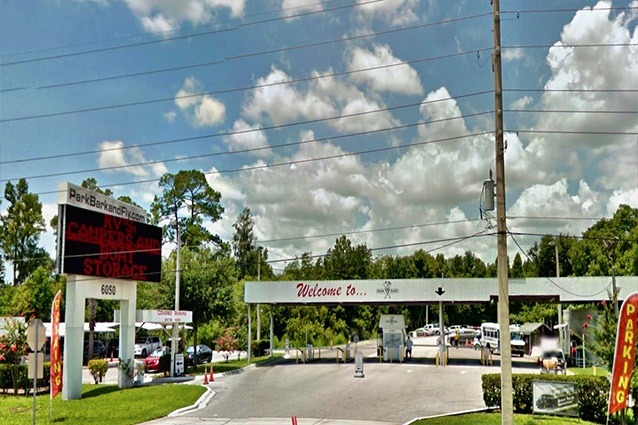 Getting parking close to Orlando airport is usually such a chore, to the point that it's almost always better to just take a taxi or get a ride. I knew I could only rely on my own timing so when I found this park & fly option I knew I found a real gem. Telling all my friends about this place. This is probably the best possible parking experience I've ever had and it made my trip that much better not having to worry about where my car was, if it was safe etc. I came back to my car just how I left it and the staff was helpful when I needed them. Using them all the time now! At last some ralniiatoty in our little debate. We all know Orlando had crazy rain and winds sometimes so leaving your car outside for days at a time is just a bad idea. I knew while I went away that I wanted my car to be safe and covered so I opted for MCO park. Cheap prices, simple service and super friendly staff! Would recommend! #1.Friendly Staff. #2. Quick Service. ( When We drove up and parked the Shuttle was seconds away from picking us up.) #3. Quick Service again. ( after our flight we headed to the spot that was on the ticket and I started to call for the shuttle, but it was there waiting around the time I suggested. #4. I'll use them again. Staff was great and helpful, reserving online was easy and the lot was really easy to find. I felt more than comfortable leaving my car here and next time I need to park my car and get to my flight, I'll be coming right back here. Such a great deal for $7 a day!! There are a lot of parking options around Orlando but most of them were way too expensive and I knew I would need it for a pretty lengthy period of time. The $10 daily rate attracted me right away and then when I saw the other services they offered, I knew it was perfect. I've been recommending it to everyone! Parking in Orlando can be a headache if you don't know where to look, so this is a great option to just make it all so much easier. Getting here was easy and the price I paid for just under 2 weeks? Amazing and super cheap. I've been telling everybody about it! Never again will I make the mistake of just leaving my car at home and assuming everything will be alright, not when I have MCO Park & Fly that I can use. As someone who's had their car damaged in my own driveway before, leaving it somewhere I knew it would be constantly monitored was a relief. I was apprehensive about being 3.1 miles from the airport at first, but the shuttle bus service was fast, simple and really convenient. It brought me all the way up to my actual terminal! This was a great place for me to leave my car and I really feel like the time I saved here is what made me catch my flight to Mexico on time!! Leaving your car anywhere can be scary but I knew I would need to get to Orlando airport quickly and wouldn't have time to search for parking otherwise. This lot was so easy to book ahead of time and the shuttle bus runs all day and all night! I was worried about making my late night flight but I made it, shuttle bus brought me right to my terminal! When I realized there were cameras and security guards 24 hours a day I knew I picked the right lot. In my condo, the security is at the front desk all night until something happens, but by then it's too late. I was going to be gone for a month, so I needed to know my car would be watched at all times. You wouldn't believe the time I spent looking for this location only to realize it's right there on Semoran Blvd. Probably my GPS' fault but once I parked it was smooth sailing from there on out. The whole facility was great and when I got back, my car was safe and sound - not to mention clean! My car was in this lot for just a few days but naturally I was scared about leaving it here, like anyone would. I knew I had to be early for my business trip flight and didn't want to rely on a taxi to get me there, and knew looking for parking would eat up my time so I found MCO park. A life-saver, honestly. I'd park here again!